NerdNest Featured in a Real Simple Gift Guide! We’re thrilled to announce that our record bookends have been featured in a REAL Simple Holiday Gift Guide! 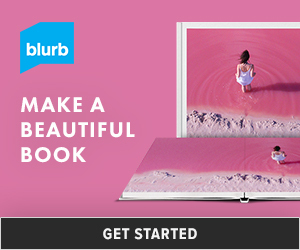 The guide is filled with great creative gift ideas for the men in your life. Men are notoriously hard to buy for, so we’re very proud to have an awesome product that will find its way under oodles of trees for the dudes out there. The guide has tons of other great gift ideas too. I’m thinking about getting this mug from the guide for Jake (Shhhhhh…. don’t tell). 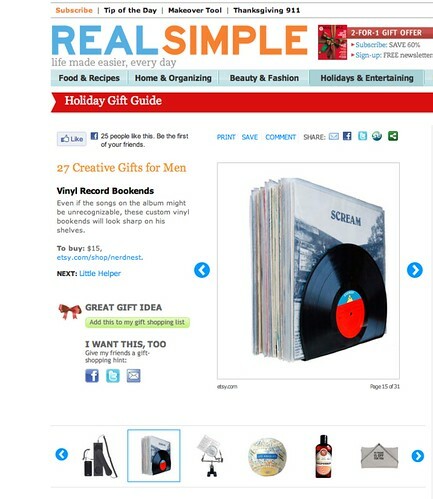 The gift guide for men isn’t the only one featured at REAL Simple! Click here for a full list of guides. That's awesome. Congratulations on being featured!